I have reviewed Squinkies and their products before. My Little One who is now 9 years old, has loved Squinkies for quite some time. 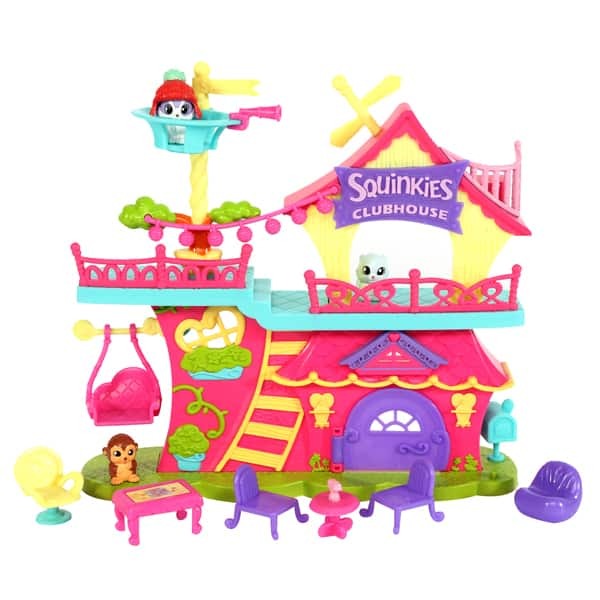 She has quite the collection of Squinkies and the newest product to enter our house is the Squinkieville Clubhouse Playset. Everyone’s favorite Squinkieville hangout! Relax in the game room, snack in the Squinkie Café, or try on your favorite ‘Do in the dress up room! The Clubhouse is loaded with cute and quirky features! Try the spinning lookout, chill on the swing, or peek into the hidden compartment under the Clubhouse floor! Best of all, the Clubhouse comes with three exclusive Squinkies and an exclusive ‘Do for them to wear. 1 beanbag chair and 1 salon chair. Squinkies are tiny and adorable. They can interchange their accessories. The Squinkies are great products for on the go play as well as at home play. They can be packed up and brought with you so easily because of their size. The Clubhouse provides a place for the Squinkies to hang out and have their Squnkie adventures. There are over 200 Squinkies to collect along with various play sets. The think that I love about Squinkies is the imaginative play that they encourage. The moment the Clubhouse entered our house, my Little One was excited to open it and get the Squinkies both in the Clubhouse and in her collection away on their adventures. 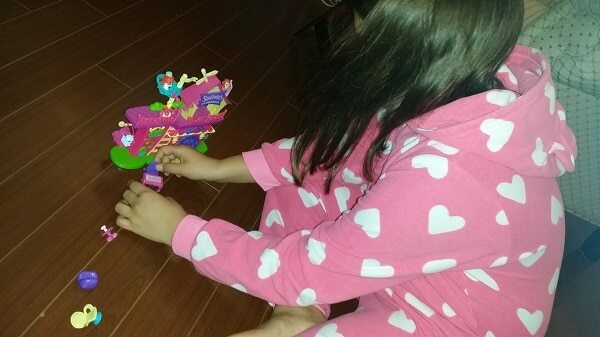 I love seeing my Little One engaged in imaginative play. Squinkies are also a popular when my Little One has friends over. They like to play with the Clubhouse and the Squinkies. My Little One and I recommend that you check out the lineup of Squinkies products. To find out more about all the Squinkies products, visit them here….